Okay the lovely SEPHORA.COM website let me choose from 3 samples when I purchased some goodies from their site. So Two of the samples I have tried on and LOVE THEM! they make my face feel super duper soft 🙂 Who doesn’t want a soft face????! So, the first product was a facial cleanser/makeup remover (IN ONE!) 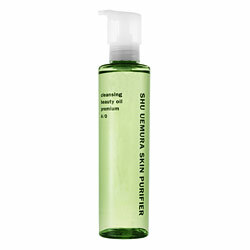 Shu uemura skin purifier cleansing beauty oil.It is for all skin types and leaves skin smooth and protected without stripping it of its natural oils. 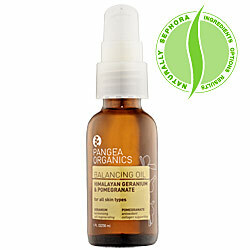 I tried it on before going to bed and I felt like I pampered my skin ! haaha. I just put a little on my face and rinsed with warm water and my skin was so soft it didnt leave that dry effect like other cleansers do! Ok and the second one I was hesistate about at first ..ONLY because I read reviews on it and heard it was a little stinky.hahaha. 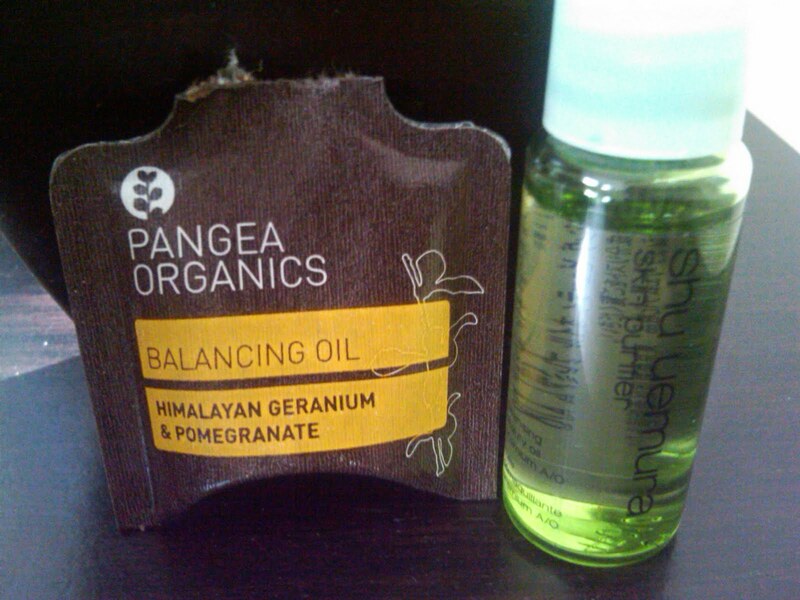 I tried it and it wasn’t so bad (scent wise) it is pangea organics balancing oil (Himalayan Geranium & Pomegranate Balancing Oil ) it is a skin conditioner that hydrates, nourishes, protects, and combats the signs of premature aging. I just mixed 2 drops with my Olay moisturizer and it felt so clean and good 😉 I loved it! I can’t stop feeling my face. its soft like a babys bottom 🙂 ha. Im going to buy the full size.